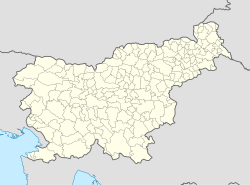 Marija Dobje (pronounced [maˈɾiːja ˈdoːbjɛ]) is a village in the Municipality of Šentjur in eastern Slovenia. It lies in the hills west of Dramlje. The area is part of the historical Styria region. The municipality is now included in the Savinja Statistical Region. The local church is dedicated to the Assumption of Mary and belongs to the Parish of Dramlje. It was built in 1639. This article about the Municipality of Šentjur in Slovenia is a stub. You can help Wikipedia by expanding it. This page was last edited on 2 June 2017, at 18:00 (UTC).